SmartStart - SmartStart lets you remote start, lock and unlock your car with the push of a button on your smartphone. Passive Keyless Entry - ’PKE’, or Passive Keyless Entry is a very popular feature on later model high end vehicles, but thanks to Directed, it’s now available for your own car. A nationwide multi-agency operation has disrupted organised crime groups responsible for exporting high-value stolen vehicles. 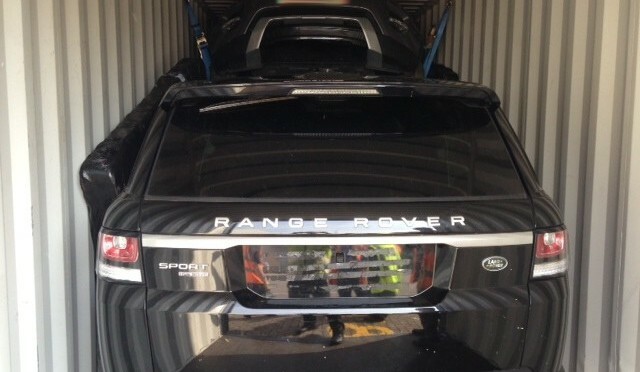 During September officers from the National Crime Agency, ACPO Vehicle Crime Intelligence Service and Border Force targeted containers and trailer traffic at ports across the country. BMWs, Range Rovers Evoques, Audis, a Porsche Cayenne, Scania trucks and a Komatsu Excavator were among the 44 vehicles recovered that are worth over £1.2 million. They were destined for African countries, Cyprus, France, the USA, Malaysia and Burma. Eighteen had been stolen from members of the public in locations such as London, Surrey, Hertfordshire, Northamptonshire, Germany and the Netherlands. The remaining vehicles belonged to companies and had outstanding finance on them. Recoveries were made at Hull, Immingham, Grangemouth, London Gateway, Felixstowe, Tilbury and Southampton. In addition to vehicles seized, officers also discovered a container of parts from at least 29 stolen BMWs. “Exporting and selling stolen vehicles on the black market is a lucrative business for organised crime groups as they also avoid tax or import duties. We know some groups even pay for drug shipments with cars. “This type of crime not only affects car owners but also manufacturers, insurance companies and vehicle-related businesses such as rental companies and garages. “Aside from reuniting members of the public and companies with their vehicles, this operation has enabled us to pursue crime groups who wrongly believe they can safely use container and trailer traffic to conceal stolen vehicles. “Our officers are recovering stolen vehicles on a daily basis, to the value of millions of pounds every year. They are fully qualified vehicle examiners who use their skills and experience to develop intelligence, to locate stolen vehicles, assist in the disruption of organised crime and reduce the opportunities for criminals to export their ill-gotten gains. “The success of any operation is dependent on the quality of intelligence we receive and our joint approach in tackling this illegal trade has proved effective in disrupting organised crime groups. Last year 90,000 vehicles were stolen in the UK and many of these will have been exported by crime groups. They normally steal vehicles to order with 4x4s being very popular in some countries because of the prestige and terrain. It is relatively cheap to send a container of ‘personal goods’, and cover loads used to conceal vehicles include furniture or electrical equipment. Methods often used to steal vehicles include keyless thefts, taking keys during burglaries or the use of fraudulent documentation and cloned credit cards to hire vehicles or obtain them on finance.